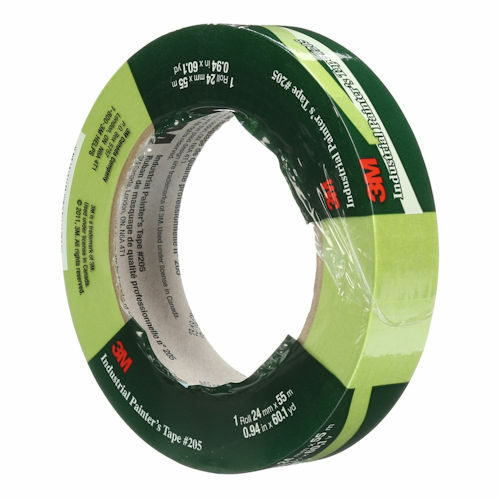 3M 205 Green Painters Tape is a medium adhesion tape that is ideal for painted walls & trim, woodwork, glass & metal. It offers good holding power to help resist lifting or curling, and is compatible with most solvent-based paints, latex paints, and lacquers. Removes cleanly without adhesive transfer or surface damage for up to 14 days, even in direct sunlight. 3M 205 Painters Tape is the preferred choice among industrial painters who demand super-sharp paint lines.